Follow the steps below to complete your free WordPress blog setup application. Setups are completed in the order they are received. You need to have both of these to start a website or blog. 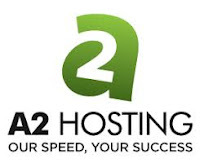 In order for us to keep our business model sustainable and provide you with this excellent service, we require users to signup with our partner web hosts. These companies are known to offer the best service when it comes to Wordpress Hosting. This way you get quality web hosting, which you were going to pay for anyways. At no additional cost to you, we receive a small commission from our partner web hosting companies for referring a new client. You actually end up getting significant discounts because each of these companies offer special deals to our users. I have included discounted pricing that I personally negotiated with a web host, Bluehost so that you can start your blog for cheap. You will also receive a free domain name through my link! Note: Please DO NOT use any external coupons. If you use any coupon that is not attached here, you will not qualify for our free Website or blog setup service. a free Site Builder with templates. Once you have signed up for web hosting using the link above, go ahead and send us your details.